Several years ago, members of University Baptist Church embarked upon the task of restoring the grounds of University Baptist Church. Their efforts included the planting of hundreds of perennials, shrubs, and plants of all types to have the grounds complement the beautiful buildings of the church. 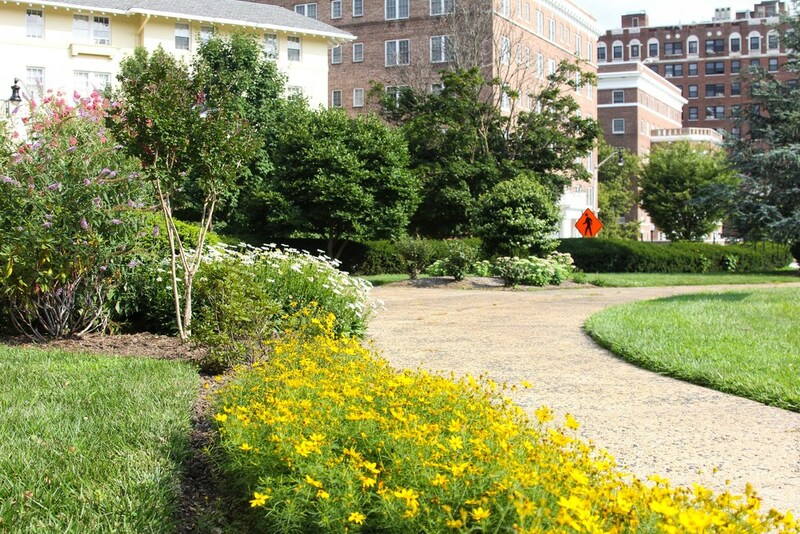 The restoration project was finally completed in the summer of 2014 when all beds and other areas of the exterior were landscaped and fully planted. This operation was completed at little or no cost to the church, as members donated long hours of effort and plants were either donated or purchased at minimal costs. It was truly a labor of love! The final product is one of beauty and reverence. Each spring, the church grounds explode in a riot of color and growth. Each week during the growing season, a new show begins as flowers and plants bloom while others recede. The grounds are alive with color after the last frost of spring until and after the first frost of autumn. Of particular focus is the "prayer garden" at the rear entrance to the church which is heavily planted and is a center of attraction for the showy display of many perennials and other plantings. Church members, visitors and neighbors alike, can be found "pausing in the prayer garden" to soak in the beauty of God's creation. If you are ever "in the neighborhood," please stop by and tour our grounds. For the Beauty of the Earth!